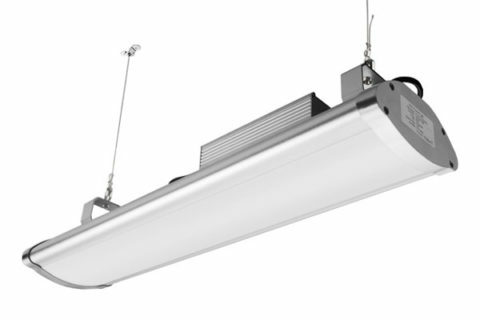 The Linear high bay fixture (with IP65 rating – vapor and water tight) delivers high lumen output with exceptional 82+CRI. 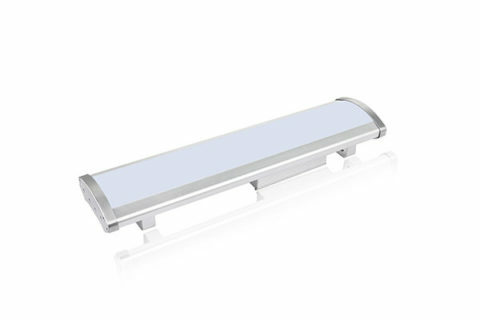 Frosted cover with better anti-glare provides a comfortable lighting experience. 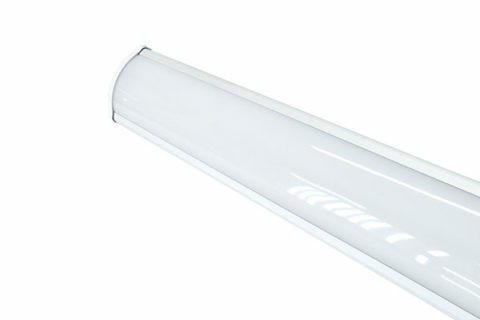 This fixture is designed to replace metal halide or fluorescent high bay fixtures. 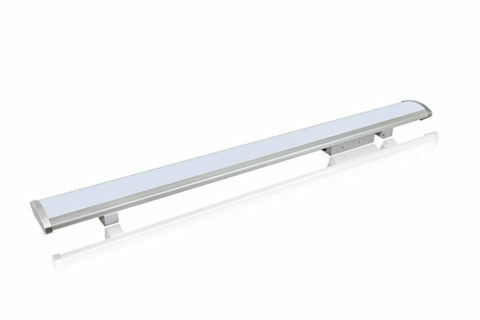 The entire fixture body, consisting of channel and end plates, is constructed of a lightweight aluminum which acts as a fixture wide heat sink designed for efficient operation in maximum heat environments. 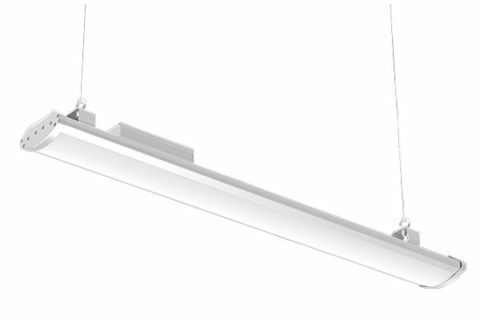 The fixture construction includes stiffening brackets and slide rails to create a strong, clean finished frame. Standard fixture can be suspended with aircraft cable or chain, or pendant mounted. NOTE: safety chain by others is recommended for applications that may subject the fixture to possible impact. 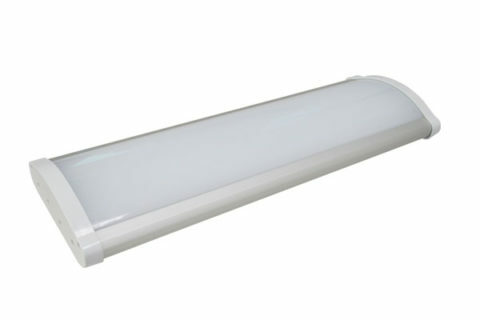 Ideal one for one replacement of conventional HID and fluorescent high bay systems. Applications include warehousing, manufacturing, gymnasiums, and other large indoor spaces with mounting heights up to 60’. The Linear Led High Bay Lamp is a state-of-the-art LED fixture specially designed for optimum lighting in high-ceiling buildings. The Linear Led High Bay Light 60w 80w is brilliantly designed as a one-for-one replacement of traditional T5 fluorescent and HID high bays. 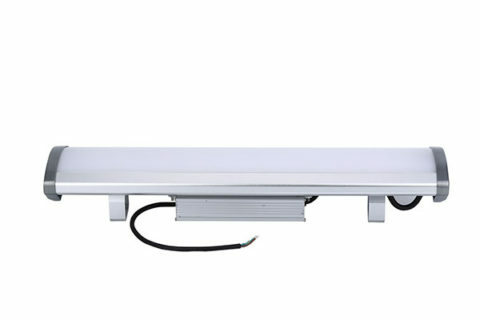 The Linear Led High Bay Light 100w 120w is brilliantly designed as a one-for-one replacement of traditional T5 fluorescent and HID high bays. 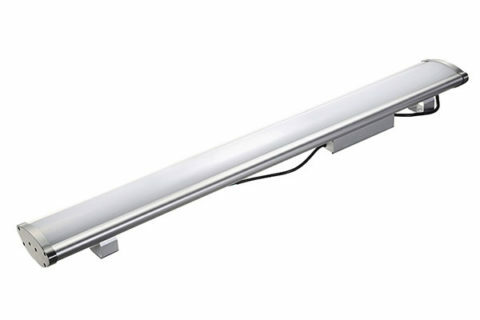 The Linear Led High Bay Light 150w is brilliantly designed as a one-for-one replacement of traditional T5 fluorescent and HID high bays. The Linear Led High Bay Light 200w is brilliantly designed as a one-for-one replacement of traditional T5 fluorescent and HID high bays. The Linear Led High Bay Light 240w is brilliantly designed as a one-for-one replacement of traditional T5 fluorescent and HID high bays. The Linear Led High Bay Light 300w is brilliantly designed as a one-for-one replacement of traditional T5 fluorescent and HID high bays. The Linear Led High Bay Lamp 80W is brilliantly designed as a one-for-one replacement of traditional T5 fluorescent and HID high bays.